Escape to this 2363 Sq.Ft. 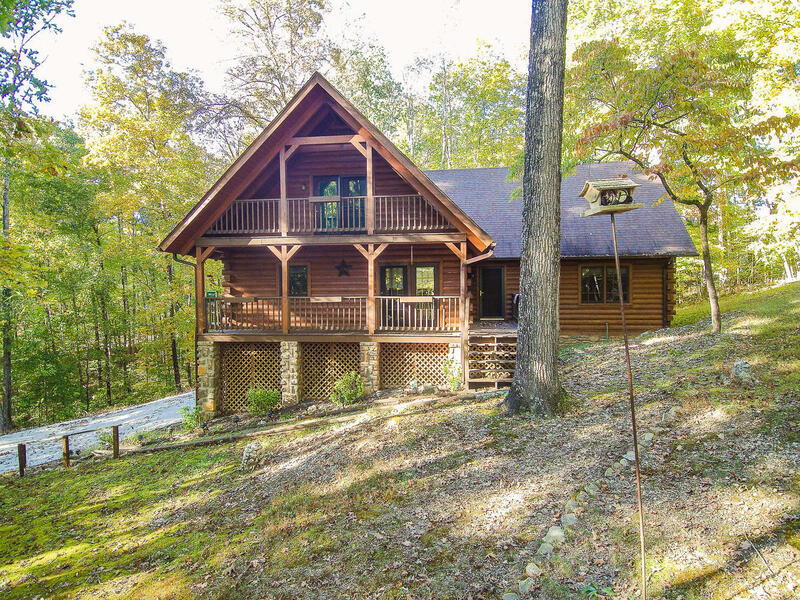 3 BR 3 full bth custom built log home nestled on priv 2.25 acre lot in Hardin Valley! Quality tongue & groove design! 114 linear feet of covered & open wrap around decking *Soaring 24 ft high cathedral ceilings w/ tongue and grooved gorgeous natural wd planking & dramatic exposed beams! Hwd through-out the main! 28x19 cath ceiling master w/priv 25x6 balcony, lg walk-in & adj full bath w/dual solid surface vanity & spring tub/shower. 11x6 loft bonus rm w/balcony views of 24x19 LR w/24 ft cath ceiling & centerpieced by a floor to ceiling stack stone fireplace!. 14x13 Kitchen w/loads of cabs & counter space & all appls stay!. 14x11 Hwd DR W/French doors to front covd deck! 49x12 rear deck! Huge garage w/3 car stg, lg 23x22 wkshop & full bath. Bedroom 2: Hwd, 9 Ft Ceils W/Exposed Beams, Ceil Fan! Bedroom 3: Hwd, 9 Ft Ceils W/Exposed Beams, Ceil Fan! Bonus Room: Yes, Loft Rm -- Perfect For Home Office! Dining Room: Hwd, 9 Ft Ceils W/Exposed Beams! Kitchen: All Appls Stay! Tons Of Cabs & Counters! Master Bedroom: Tongue & Grove Cath Ceils, Pvt Balcony! Utility Room: Workshop Adjoining Main Garage!